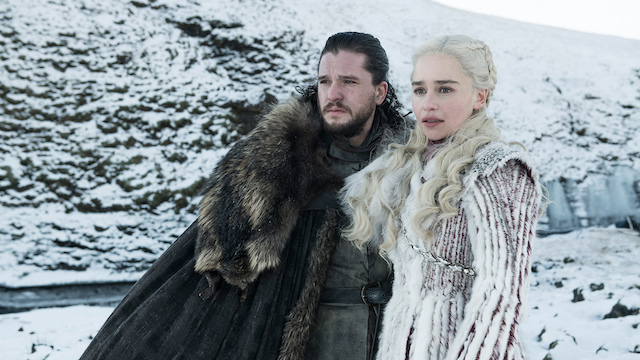 With less than a week to go until the season premiere of Game of Thrones, HBO has built up massive hype for its last go-around. This includes a series of new video featurettes, in which members of the cast look back on their experiences. Be sure to set some time aside, because they have a lot to say. First up is a general overview that features the cast and production team talking about their favorite memories. It shows a lot of characters at a much younger age. But it also focuses on shocking moments, including Jon Snow’s “death” and a revisit of the Red Wedding. One of the youngest members of the cast has a lot to say about his Game of Thrones role over the years. “It’s become such a huge part of who I am,” he said. “It’ll be sad not to be coming back and getting to be Bran.” He also talks about his favorite shocking moments from the series. John starts right in, explaining, “I think I’m gonna have a hard time saying goodbye to Sam.” He also has memories about filming the series in Iceland, as well as the pure energy of working with Kit Harington. Of course, there has to be a video with Dinklage looking back as Tyrion. “I get Tyrion yelled at me more than I get ‘Peter’ yelled at me on the streets,” he explains. He also talks about how what the character means to him as a whole. “When you’re involved in something great, something you’re gonna be really proud of…just this feeling you have, it’s like being in love.” This is a must-watch. Next up is this dominant character, in which Williams used her many tools to bring her to life. “I’m 100 percent going to miss that,” she says as she reflects back. She also talks about her tearful reunion with Sansa, and how her friendship with Sophia Turner pushed that. One of the most memorable characters from the series, Daenerys Targaryen, gets a loving look back by Clarke. She talks about how the weight of the character changed her. “This show…has set me free. It’s literally given me my freedom.” There’s also a fun moment where she celebrates her birthday on-set. What did you think about these videos? And what will you miss most from the series? Let us know in the comments below!